Enoch Matovu, a correspondent for a local Ugandan television station, NTV, in the Mityana District was reportedly shot in the head while covering an incident of vote rigging during the NRM party elections at Bulera police station. Matovu confirmed that he was covering the incident and never saw who shot at him in the scuffle: “I saw the local people opening the car and removing the ballot papers which they scattered around the police station, and that’s what I last remembered. 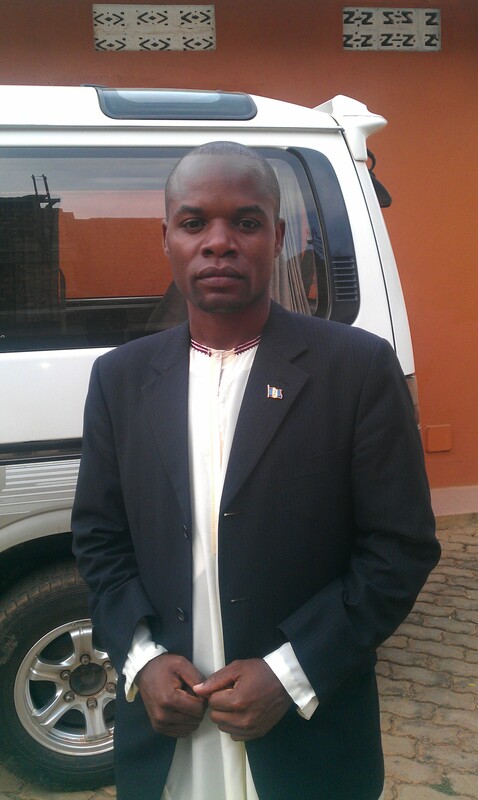 I later discovered that I was admitted in Mityana Hospital” he stated. Two unidentified men have so far been arrested and detained at Mityana police station, according to police. The scuffle ensued when an unidentified man turned up at a polling station near the police with ballot papers and could not explain where he got them. The local people became hostile and wanted to lynch him but he managed to escape and hid inside the police station. His car was broken into and the ballot papers scattered by the angry locals. Matovu is still undergoing treatment. 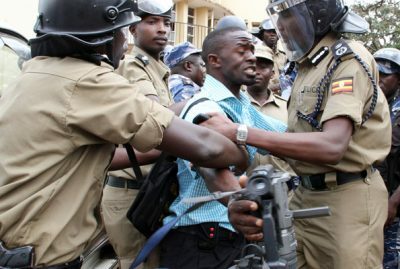 In a related development, a Vision Group journalist Haruna Mugerwa was on 27th October assaulted while covering a story in which a police officer, one Corporal Mbirimu Michael was implicated in vote rigging when he was reportedly found with some pre-ticked ballot papers hidden in his shirt and gum boots hours before elections of NRM party elections. Mbirimu was arrested and locked up in a private car at Mbirizzi trading centre. Mbirimu was removed from the car and put in a police patrol amidst gunshots by the Lwengo District Police Commander Muhwezi Ronald. This prompted Mugerwa to jump on the police patrol to flee from a crowd which had turned rowdy hence angering one of the contender’s supporters who trailed the patrol to Lwengo police station, where they pounced on Mugerwa and started beating, accusing him of boarding a police car. He sustained injuries in the neck and his camera was destroyed, later entering a case of assault and malicious damage to property at Lwengo police station. In another incident, a journalist working with NBS television, Kataggwa George was arrested and detained by police for a night on 26th October. Police accused him of covering a meeting that was deemed “political” and not open to the public. The meeting was held at Musana restaurant at Muhooro, Kibaale district. His camera was confiscated by the police. Kataggwa and a workmate, Bahati Remmy were covering a scuffle between the Buyaga West County Member of Parliament Barnabas Tinkasimire and Dennis Namara who were contesting to be NRM party flag bearer for Member of Parliament Buyaga West Constituency, Kibaale district in Western Uganda. Tinkasiimire was accusing Namara of bribing police officers to intimidate his supporters. Kataggwa was released without charge and his camera returned.